The world renowned French horn player Radek Baborák has chosen for his new album 'Orquestrina' compositions inspired by dance in its various forms. 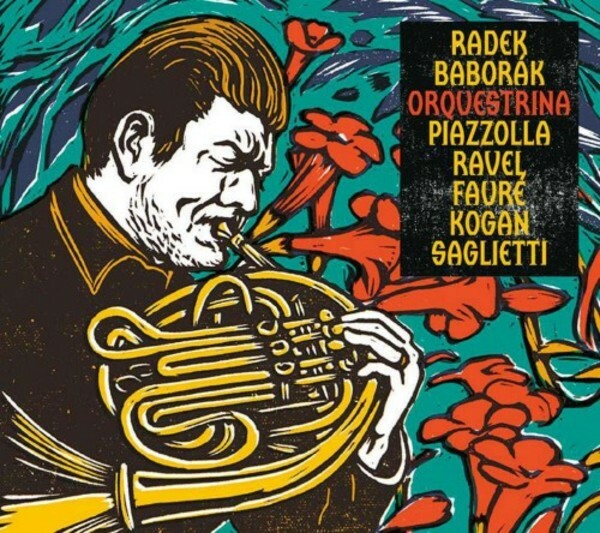 Alongside compositions by such famous composers as Astor Piazzolla (Histoire du tango), Gabriel Fauré (Pavane) or Maurice Ravel (Boléro), the album also contains less known works, including Lev Kogan's dances and songs rooted in Jewish music, Corrado Saglietti's suite for horn and a string quartet and three small pieces for solo horn. The fifteen member ensemble is made up of great soloists and chamber music players. Many of the compositions are presented here for the first time in newly created arrangements. The album is full of energy and masterful performances and will undoubtedly become an event of the year, not only within the Czech music scene.